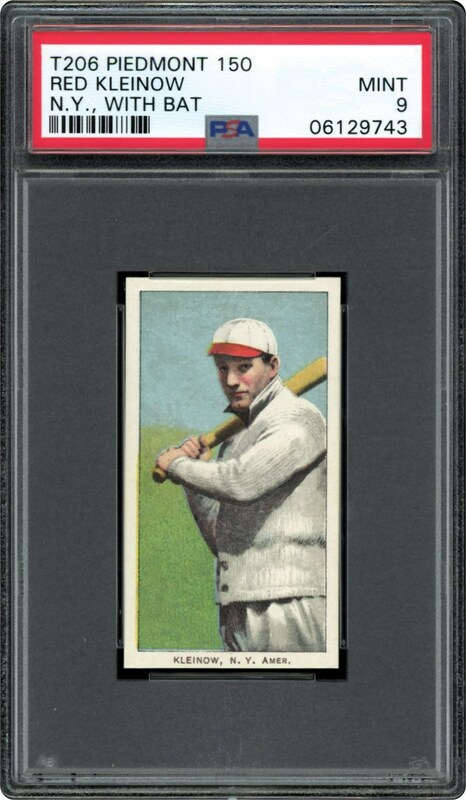 PSA has currently encapsulated over 400 T206 Red Kleinow NY w/Bat subjects with a meager 4 examples graded a "PSA Mint 9" and only a single specimen graded higher! Presented here just happens to be one of those four "Mint 9" gems. 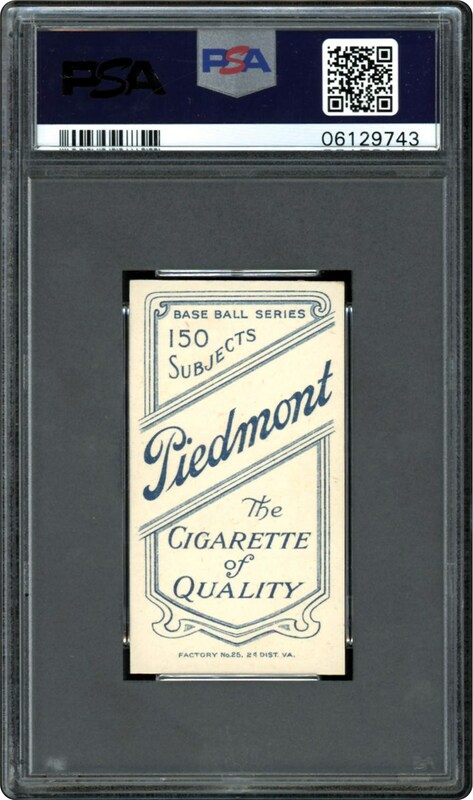 As a further world-class testament for this unfathomable offering, of the total 231,400+ PSA encapsulated T206's, a meager 0.12% have managed to receive a Mint 9 grade with only 13 specimens graded higher. Indeed, finding a Mint T206 subject is synonymous to the old adage "finding a needle in a haystack", with this Red Kleinow masterpiece emanating breathtaking aesthetics. Brilliant powder blue/green hues, a near-perfect centered image, crystal clear clarity for the classic Kleinow batting pose, razor sharp corner tips and pristine-like surfaces all substantiate the "Mint 9" assessment, with this pristine-like prize unquestionably destined be a main attraction in one of the finest T206 PSA Registered sets!